Hi, guys! Tell me about yourselves. Alessandro and I (Janicke) met 13 years ago. Alessandro, born in Rome, Italy, came to Norway 25 years ago. Since the day we met we have worked and lived together. We run the studio Kråkvik & D'Orazio, and work as interior stylists and designers. We do both editorial and commercial work worldwide, based in Oslo. Please tell me about Kollekted by. How did the idea come about? After many years in the business and visiting design fairs all over Europe, we felt there was something missing in Oslo. With no rush we finally found the perfect location and opened 2,5 years ago. The idea is to collect our favorite pieces from around the world and create our own, personal atmosphere. The interior is chosen with love and we want our customers to feel the same. We also work closely with Norwegian designers and crafters and handpick different limited pieces, with popup concepts once in a while. What kinds of magazines can people find at your store? We have chosen our favorite magazines, A New Type of Imprint, Brygg, Nytt Rom, Residence Bookazine and Cereal. What other things do you sell at your store? We sell both products and furniture in different price ranges from all over the world, Japan, New York, Italy, Denmark, Germany, Norway and so on. Nytt Rom. Hans Petter, the founder and editor, has his own way of creating a magazine. 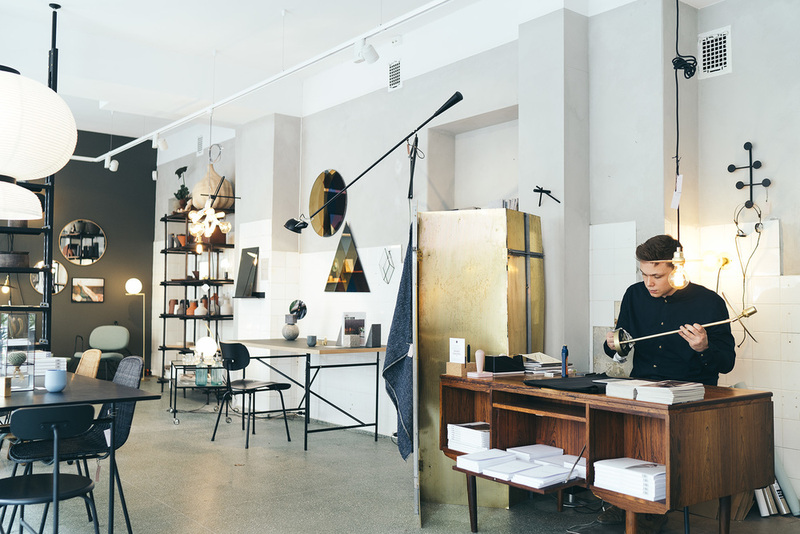 It feels personal, different and inspiring, talking about the latest within design and letting us in to creative spaces from all over Scandinavia. A New type of Imprint is our new favorite, covering creative people with great interviews and inspiring images, a typical magazine you will keep for years and read over and over. Brygg, another Norwegian magazine, talking about coffee, covering people, places, happenings and more. Great reading and really nice images. You don't have to be a coffee lover to fall in love with it! Our shop is situated at Grünerløkka, hidden away from the busy area in a small street. A lot has changed in a few years and now you will find a vintage shop, a great children's bookshop, a vintage book shop, a retro hairdresser and a really nice café called Egget, with a nice outdoor area in the summer. It is only a few minutes away from the core of Grünerløkka. The great botanical gardens is also just a few blocks away. And for drinks I would definitely visit Territoriet in Markveien with their great wines and really good atmosphere (one of our design projects).